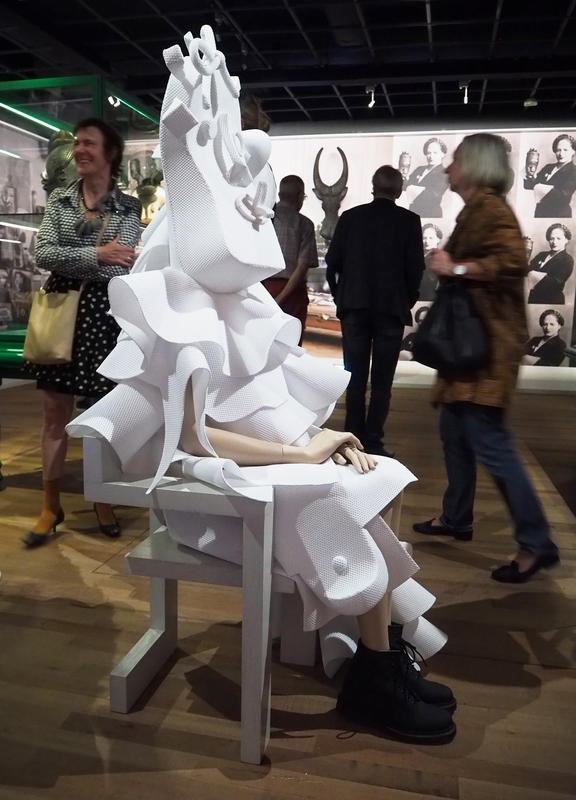 On request of Walter van Beirendonck, ‘Wereld Museum’ Rotterdam shows a Steltman Chair designed by Gerrit Rietveld, from our collection, in the exhibition ‘ Power Mask ‘. 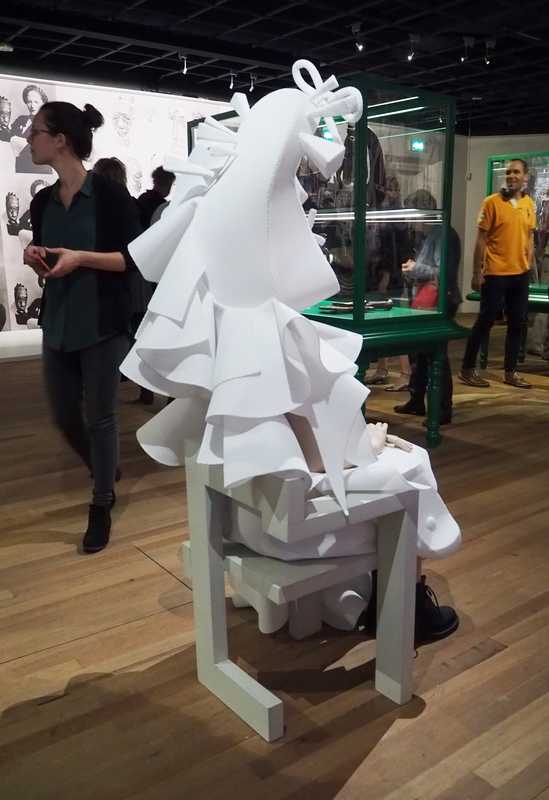 A creation of the fashion designers Victor & Rolf is seated on the chair. 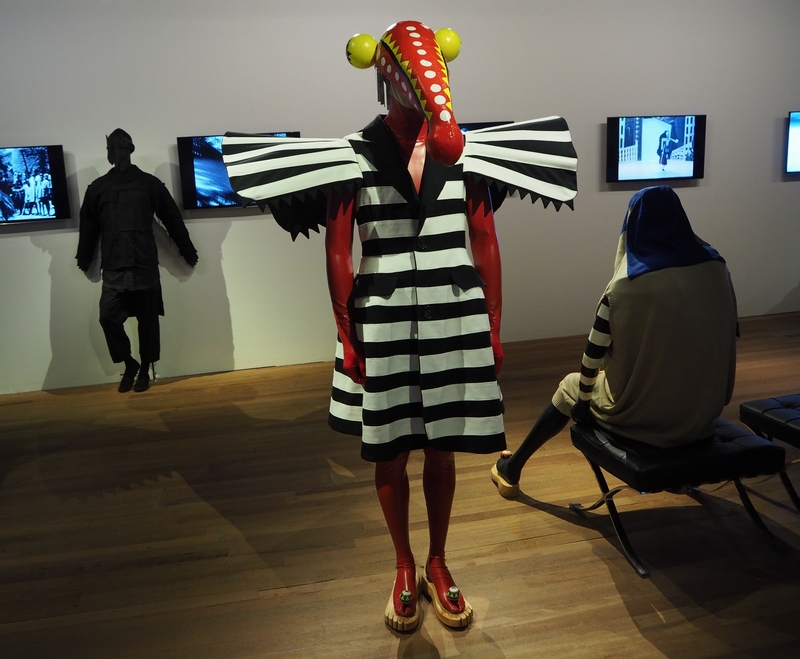 The fashion designer from Antwerp Belgium, is curator of the exhibition in which he shows a quirky look at the phenomenon of masks. 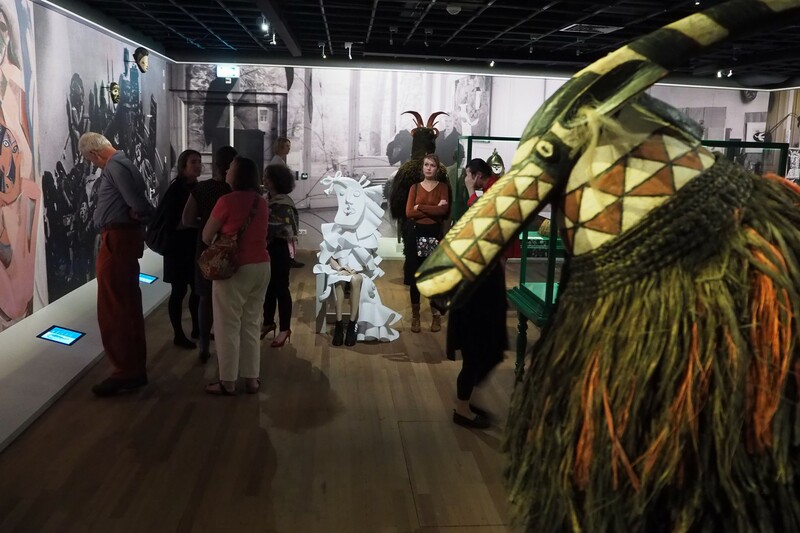 The masks, coming from all continents, refer not only to the traditional use of the mask in diverse cultures. 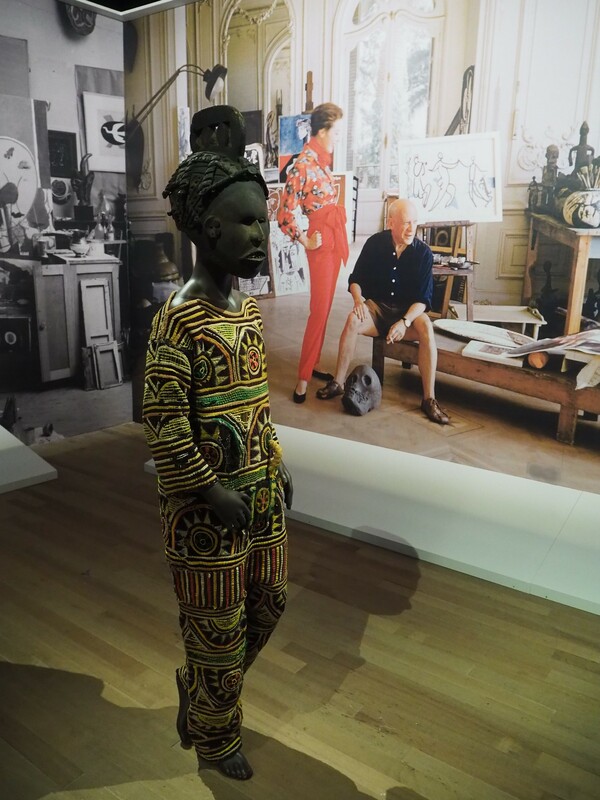 The exhibition also devotes considerable attention to the way the mask has been, and still is, a source of inspiration for international visual artists, photographers and fashion designers. 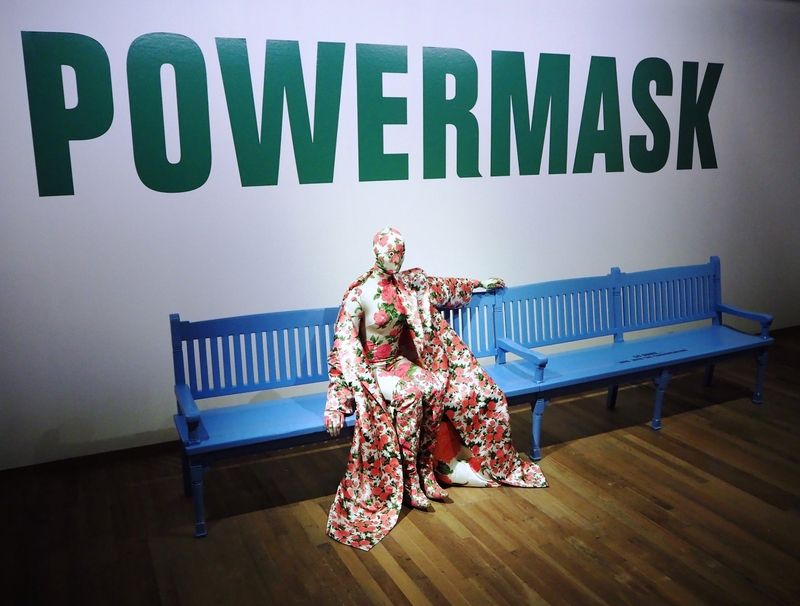 Masked fashion silhouettes are shown everywhere throughout the exhibition, standing up or sitting on timeless design-pieces. 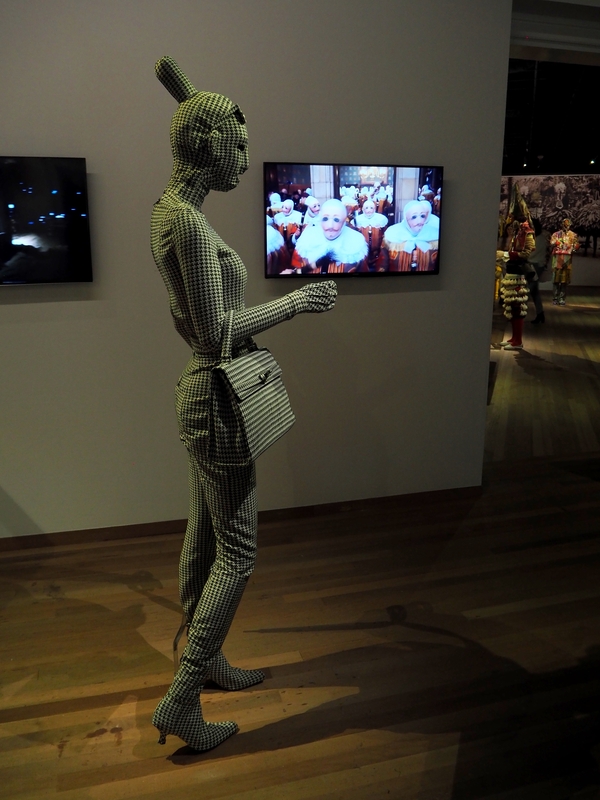 The exhibition that is housed in large rooms on different floors is a feast of spectacular forms and colors.